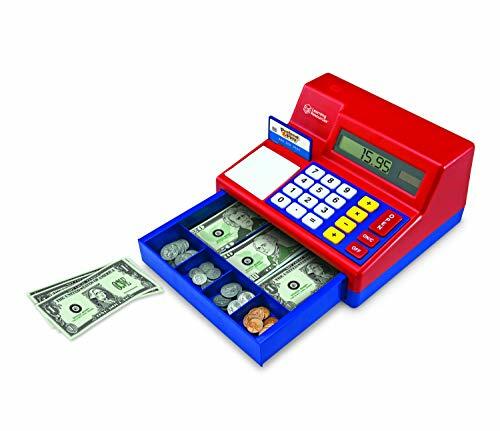 Encourage beginning math and calculator skills while providing lots of opportunities for imaginative play. 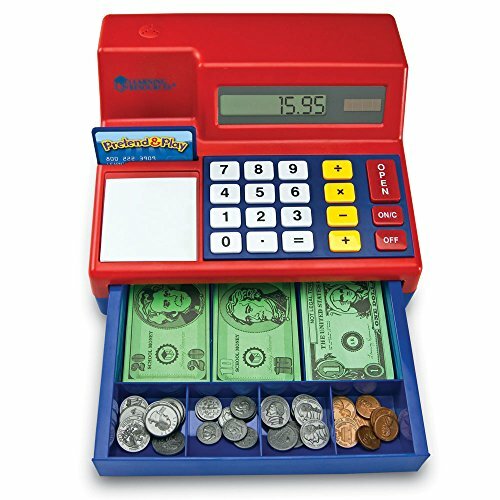 Features a built-in, solar-powered calculator that helps familiarize children with the use of a calculator. 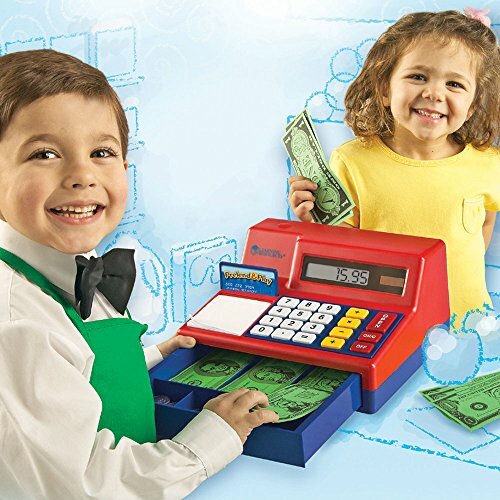 They will also learn currency denominations and have fun handling life-sized money. 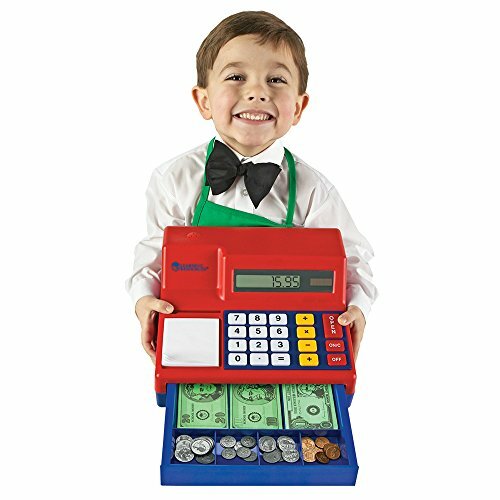 Large buttons on the keypad are easy for little hands to press and the cash drawer makes a "cha-ching" sound when it opens, just like a real register! Measures 10-1/2 L x 9-1/2 W x 5-1/2 H inches.